Constantly we are bombarded by academics who take whatever trend is in motion and extend it out into the distant future. They did that with Global Warming and Al Gore’s forecasts portrayed a current time future TODAY where all ice should have been gone by now. There were predictions about food supply and over population by Malthus. There were predictions back in 1800 that New York City would be 2 feet deep in horse manure by now and unlivable. Well here is the latest in linear thinking. 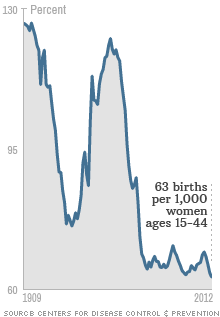 The birth rate has collapsed everywhere – not just the USA pictured above. South Korea’s National Assembly Research Service has just put out its long-term view of the country’s present low birth rate will result in South Koreans becoming extinct by 2750. South Korean women have, on average, only 1.19 children. Assuming this trend continues, they project that the current population of 50 million will shrink to 40 million in 2056, 20 million in 2100, three million in 2200, one million in 2256 and zero in 2750. The last child to be born in the capital, Seoul, will arrive in 2505. Indeed, the real irony here is the higher the tax rate, the lower the birth rate. 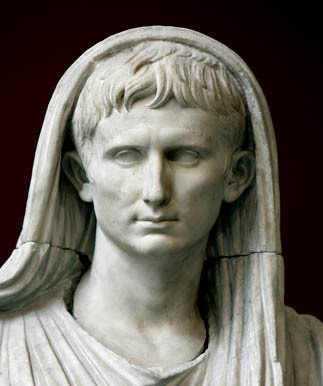 The Roman Emperor Augustus (27BC-14AD) came out with family laws fighting against the same trend. Rome was becoming like New York or London – infiltrated with foreigners. The birth rate collapsed and his Family Laws demanded that men could not remain bachelors. August saw the trend in motion and like South Korea, he too feared that native Romans would become extinct. As the more and more foreigners entered Rome, the blood lines were mixed. By the 3rd century AD, Marcus Julius Philippus (c. 204; 244–249AD) became Roman Emperor and he is known as Philip the Arab. Indeed, Obama is President demonstrating the very same trend that has always taken place. This problem of a declining birth rate within society has always existed. With prosperity, the birth rate declines for one needed children as security for the future – your retirement. With wealth creation, the need for big families declines. With socialism, the state has replaced the need for family and this places us at greater risk for surviving as a society when the state fails in its obligations. Phase two then unfolds. As the state needs more and more money to meet its obligations, taxes are raised and it becomes war against the people. Then comes the economic decline in government that is correlated to the rise in taxes. The higher the taxes, the less people can afford to support a family and the birth rates declines further as people become uncertain about the future. Now we are facing the same cycle and this is worldwide. However, linear projections just do not work. There is a cycle to everything. We never bother to understand trend. When Lady Thatcher spoke at our 1996 conference, she stated bluntly that she believed that government should look at cyclical trends.